Today is International Women’s Day, and March is National Women’s History Month. Take a moment to consider the many achievements of women throughout history. Think about the women in your families and communities. Learn about women who need help today. This is a great excuse to gather together a group of girlfriends and head to the Washington State Wineries of the Olympic Peninsula. Let the dads and grandpas watch the kids while you reconnect with good friends. 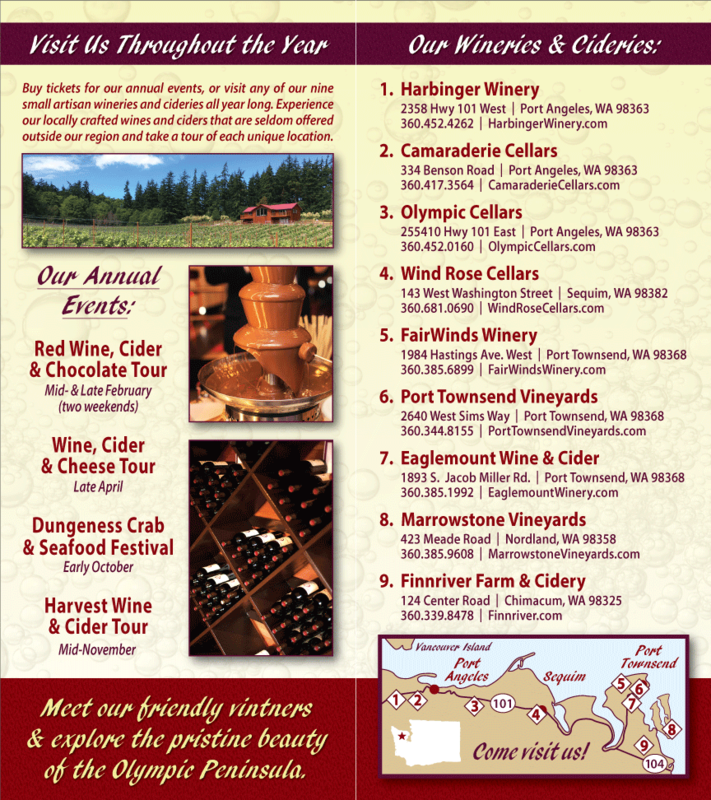 Visit the six Washington Wineries located in Port Townsend and Port Angeles in one glorious trip, or plan to return again and again until you have tried them all. There is at least one woman behind every winery on the Washington Olympic Peninsula. It took vision and commitment for these women (and their male partners) to establish their businesses, and it is worth visiting these Washington State Wineries to see what they have collectively created. Olympic Cellars, Womanfest, and MADRE are hosting an event on Wednesday, March 10, 2010, at 6 pm. All are invited to enjoy homemade soup and bread and drink wine by the glass during this local celebration of International Women’s Day; it will highlight the efforts of MADRE to help the victims of the Haitian earthquake. The suggested donation of $10.00 will go towards MADRE’s relief efforts in Haiti. Olympic Cellars will donate 30% of revenues from wines sold by the glass as well.